Every morning in April 1970, our Lift birds would crank up at the helipad in Phuoc Vinh. Fifteen or so of us Blues would board (five or six per bird) and fly to Firebase Buttons, which was about a half hour flight to the northwest of Phuoc Vinh. At Buttons, we sat and waited for word of our next mission, whether it be a recon or quick reaction mission for a downed helicopter. My radio was always tuned into the same frequency as our two Scout birds buzzing around the jungle at tree top level looking for enemy activity. 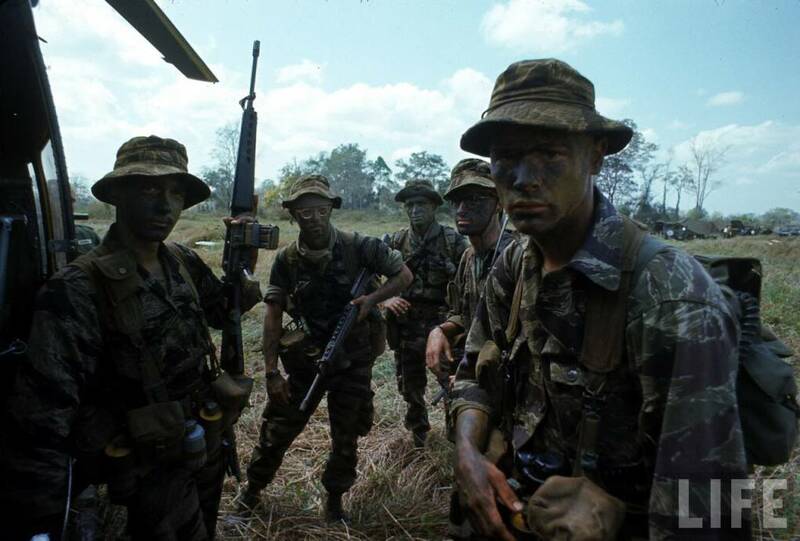 One morning a call came over the radio that a group of Lurps (U.S. Army LRRP / Rangers) in the area made contact with the enemy and needed reinforcements. Lurps were heavily armed long-range reconnaissance teams that patrol deep in enemy-held territory. Our choppers cranked up, and we were on our way. I had never before had to deal with those emotions. This was the real thing and not a drill. This is what all that training was for and why a certain amount of brainwashing was necessary for this type of duty. Turning back was not an option. The guy next to me on the chopper was a seasoned combat veteran, and he knew I was a FNG, so he gave me a quick briefing as what to do. His instructions were to take my M-16 off the safe position and flip it to ‘rock-n-roll’ (the automatic position) and start firing into the jungle as soon as my feet hit the ground, if not sooner. That’s when I felt a hot stinging sensation in my upper back. I swung my right hand around and pulled a hot piece of shrapnel out of my left shoulder. 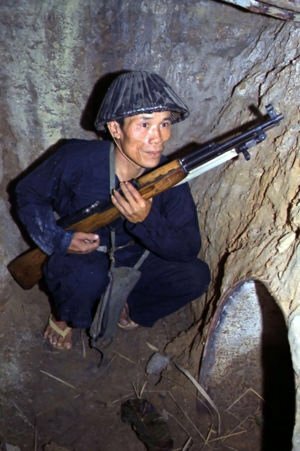 A fellow Blue not far from me took some shrapnel in his stomach about the same time he fired his M-79 grenade launcher and hit a nearby tree. There’s a good chance; that’s where the shrapnel came from. That was the first time I saw ‘Charlie’. Their lifeless bodies were laying there in front of me, stripped of their clothing and any possessions they had with them. The Lurps took everything from them to have as souveniers​.